Use Nitrogen? How About Generating Your Own Supply? Nitrogen is utilized by industrial customers more than any other gas. In addition to being a part of every living thing on the planet, nitrogen is also the major component of atmospheric air at around 78% concentration. It is incorporated as part of many compounds used to make a wide range of products. 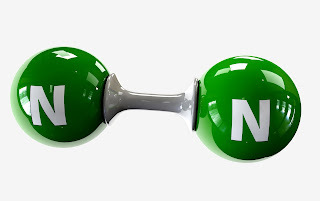 Nitrogen is also used as a cooling medium and as a means to isolate flammable or reactive compounds from oxygen. There are several methods employed to generate or provide nitrogen, each with certain aspects making them advantageous to a certain range of applications. Convenience, reliability of supply, space, cost, energy consumption, purity, and a host of other factors can weigh on the decision for nitrogen supply. Parker Balston, a globally recognized manufacturer of gas process equipment, authored a white paper making a case for considering in-house nitrogen generation for industrial processes. The article describes the three prevalent methods for producing highly purified nitrogen gas and compares their impact on the environment, as well as their suitability for users large and small. The article, included below, is short and very informative, definitely worth reading. When considering your options for nitrogen supply, consider in-house production as a worthy alternative to the delivery of pressurized gas bottles. Share your requirements and challenges with a product application specialist, combining your process knowledge with their product expertise to develop an effective solution. Comparison of Alternate Methods for Generating Nitrogen for Industrial Processing from Classic Controls, Inc.